The label CAROCORA has taken its name from german designer Carolin Cora Kohler. 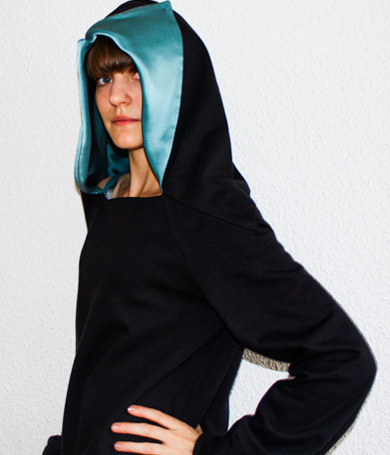 She founded her brand, in 2007 in Madrid/ Spain, her current living and working place. Her first collection "unknown blue" SS 08 was inspired by her move to another country. Her second Collection "Orinuno"AW 08/09 is a homage to the Origami game "Fortune Teller". Every collection by CAROCORA has its own conceptual approach, a special idea dominating the entire line. These themes are mostly about unnoticed and seemingly unnimportant everyday things, but behind this lies the observation of people and their individual way of wearing clothes. The investigation of new forms is one of the basic principles of CAROCORA. 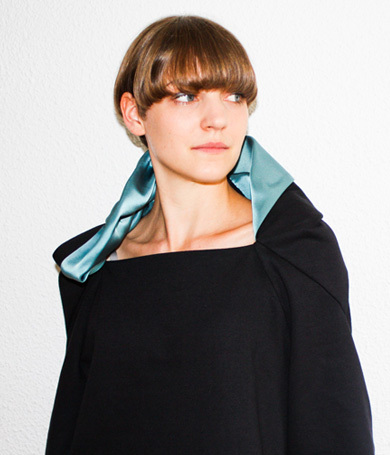 Her designs are based on mathematical asymmetry and calculated irregularities; innovation in forms and unconventional cuts provide a basis to the creation of personal clothes for individual people. CAROCORA`S design uses minimalism to create harmonic collections with experimental and exciting details.